» How to use a polybook in Arena 3.5? Welcome to Piecraft's Spleef Minigame! 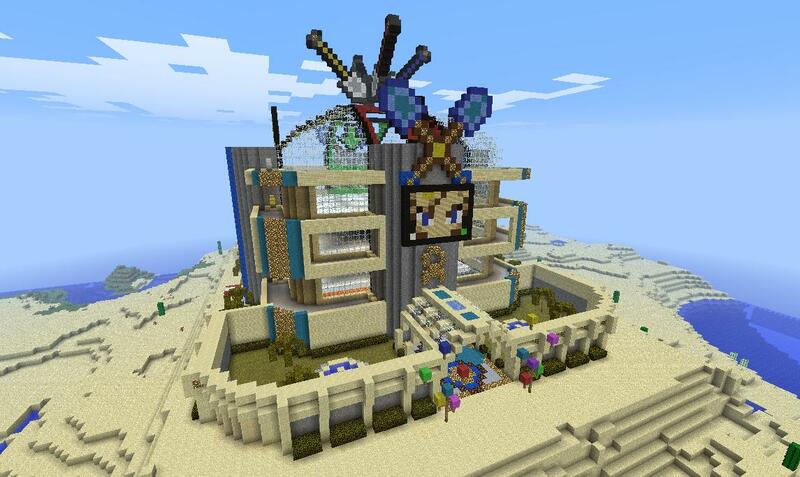 Spleef is one of the popular minigames in Minecraft. Basically, the goal of this game is to grief the ground so that opponents would fall below the next ground level. Whoever gets to swim the lava first loses the game. 1. The arena is playable if Op's are around. This is so that Op's can monitor (Mods can monitor too). 2. You can only bring an Iron shovel (or any shovel as long as it's the same with other players). (Update) Iron Shovel Shops are now available in the players' lounge in case they have no shovels available. 3. Players start the game at Op's or Mod's signal. 4. Players on lower ground can still grief the upper ground, but those players above can't grief the lower ground. 5. Any thing lost in the arena will not be the staff's responsibility. 6. 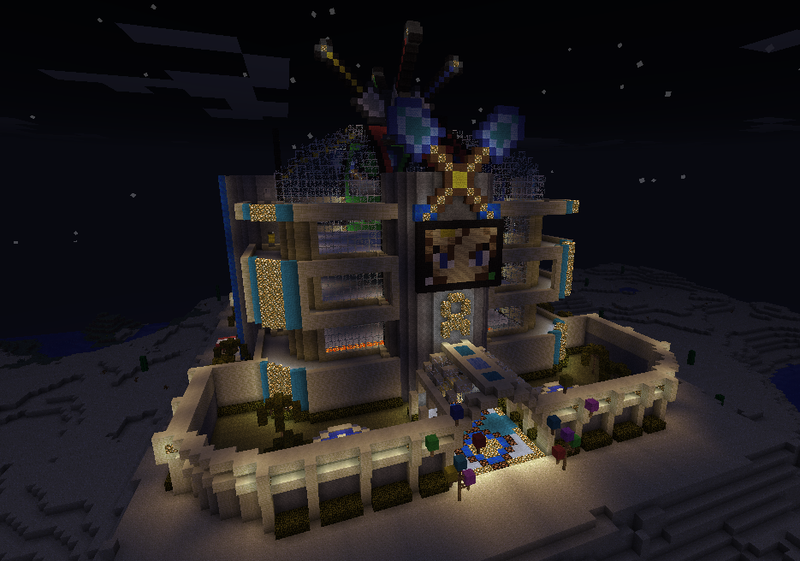 Players caught cheating will be banned from playing spleef arena for a time period. 9. I can't think of anything else - go crazy. 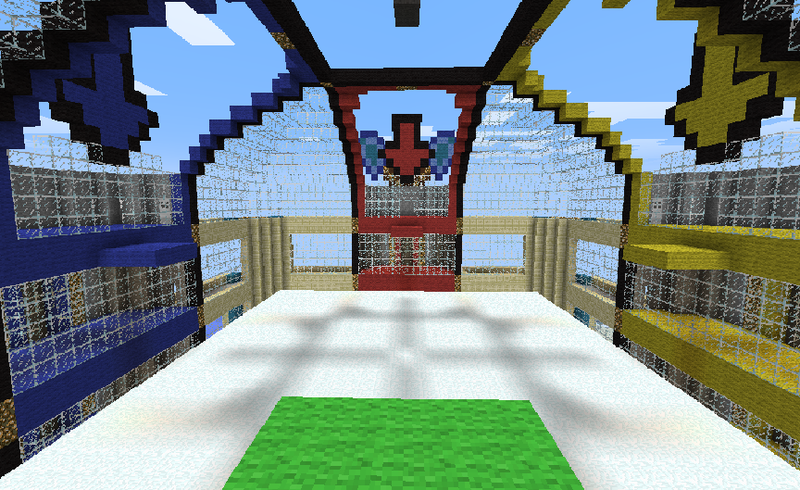 Spectators can go to the Spectator's hall and choose which view room they want to be in. Re: Spleef Arena is open! shakazam16 wrote: AHA!....Place looks EPIC!!! God faust... You are SOOOOO good at building! Looks epic, I would love to play! Act your age, not your Rep. It was really only for mods. I asked faust what it was and I fi could help, but he wanted to keep it private; was a good idea too, the place looks amazing and it's so fun to play! Actually it was really only for Faust to build lol. Great job Faust it looks amazing! today was sooo much fun at the arena. I won twice, it was hilarious too! 1. make a shovel shop so the idgits that forget their shovels can buy one. that could bring in profit. 2. Make a wall of legends/records. We keep competing in matches, singles or doubles, then you update your singles/doubles record. Kinda like a league thing, so we can have kinda seasons/periods and the winner of each one gets the prize, not for each match. We could make a seperate, no jumping arena or a leaf spleef which would be very cool. i love it u know something that a lot of other servers got a mob arena who thinks that would be beast? 112233qq wrote: i love it u know something that a lot of other servers got a mob arena who thinks that would be beast? yay spleef open! now I can pwn sum newbs at spleef and get pwned twice as bad. The place looks amazing and nice details. Kudos to the creators! Yay i got an honorable mention by the legendary Faust! I feel so honored well i hop the shovel shop helps assisst u guys! Hey, If u really like it check out my post on PSL, you can join since we need to fill spots!! It will give u alot of chances to play and can give you prizes! I really wish I could play more of these games but I lag a lot sometimes...I love watching you guys play though! shakazam16 wrote: I really wish I could play more of these games but I lag a lot sometimes...I love watching you guys play though! its EPIC make more things like that faust! !